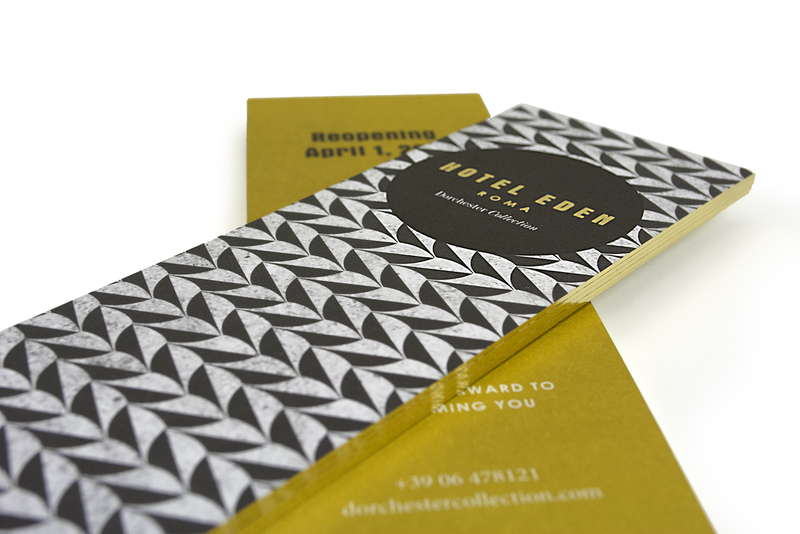 A premium bookmark to promote the reopening of the Hotel Eden in Rome. 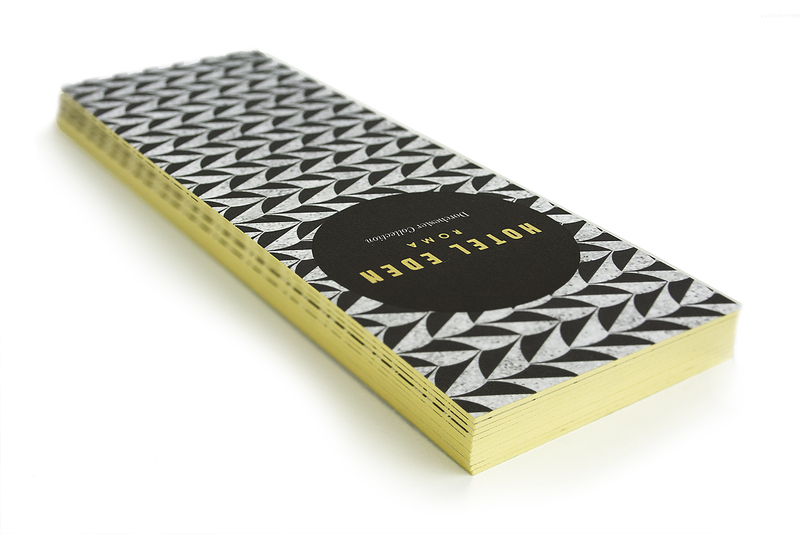 Printed on 350gsm Sirio White/White, foil blocked in bright gold, duplexed to form 700gsm and finally gilt edged to create the ultimate luxury bookmark. © 2019 Fine Print Services Ltd.